Wealth management means more than just supervising a portfolio. It is a multi-faceted approach that incorporates estate plans that should express your values to your heirs or your favorite causes in a way that your objectives can be realized. Well-considered estate plans can build a legacy of not only how you will be remembered by your heirs, colleagues, and community, but also by the positive effect your wealth can have on future generations. Because you have worked hard to create a secure and comfortable lifestyle for your family and loved ones, you will want to ensure that you have a sound financial plan that embraces trust and estate planning which may include charitable gifting and, perhaps college planning. With some forethought you may be able to minimize gift and estate taxes and preserve more of your assets for those you care about. Don't wait too long to begin your legacy estate plan to avoid obstacles due to diminished faculties or declining health. One of the first steps you will take in the estate planning process is determining how much planning you will need to undertake. No two situations are alike. And, even individuals who do not have a great deal of wealth require some degree of planning. On the flip side, those who have substantial assets often require highly complex estate plans. A key component of your initial needs evaluation is an estate analysis. The estate analysis includes an in-depth review of your present estate-settlement arrangements. This estate analysis will also disclose potential problems in your present plan and provide facts upon which to base decisions concerning alterations to your estate plan. For example, you may believe that your current arrangements are all taken care of in a will that leaves everything to your spouse. However, if you've named anyone else as a beneficiary on other documents such as life insurance, retirement plans or joint property deeds, those instructions, not your will, are going to govern the disposition of those assets. You want to make sure that all your instructions work harmoniously and you may want to consider alternative asset ownership arrangements including a living trust. Typically, the larger your estate, the more useful a living trust may be. So, as you think about your wealth and your heirs, you should explore whether a living trust is appropriate for you. Legacy estate planning may include gifts prior to your death. Consider a gift that offers years of potential: investments that may increase in value over time. Gifts of cash, investments, and other assets can offer benefits to you as well as your recipients. Each year, the IRS sets limits to the amount you can give to as many people as you like - adults or children – without triggering mandatory filing of IRS gift tax form 706 and possible payment of gift taxes. If you have highly appreciated assets and are concerned about capital gains, gift, and estate taxes, you may want to consider a charitable remainder trust (CRT). This estate planning mechanism can provide you with an income stream and a potentially sizeable charitable income tax deduction while benefiting the charity(ies) of your choice and eliminating capital gains taxes on assets placed in the trust. A CRT is an irrevocable, tax-exempt trust in which you place assets to provide income for you during a specific period of time (e.g., your lifetime). At the end of that period, the remaining assets will be turned over to the charity(ies) of your choice. It important to note that by establishing a CRT you forever relinquish your rights to the assets you put in the trust and that your heirs will not inherit the assets placed in the trust. Some donors compensate for this by purchasing a life insurance policy with some of the income generated by the CRT or by using some of the savings incurred by the charitable income tax deduction. A UGMA/UTMA (Uniform Gift to Minors Account/Uniform Transfers to Minors) account allows you to establish a savings or investment account in a newborn or child's name, with one adult named as custodian. The tax break associated with gifts (see IRS gift tax form 706 each year for limits) can be especially beneficial for adults looking to minimize their estate taxes. Remember that asset gifts are not limited to newborns or young children. Generally, you also can give adults up to the maximum allowed by the IRS (see IRS gift tax form 706 each year for limits). And it can be cash, investments, or property such as land or a piece of artwork (consult a qualified tax advisor for details). A 529 plan (see education planning page) is a college investment program sponsored by a state government and administered by one or more investment companies. The underlying investment options typically are mutual fund portfolios – “age-based” asset allocations that become more conservative as the beneficiary gets closer to attending college or static portfolios with predetermined allocations that remain consistent over time. For tax purposes, a contribution to a 529 plan is considered a completed gift from the contributor to the beneficiary named on the account. A contributor, therefore, can potentially reduce the size of his or her taxable estate using a 529 plan. As with the above discussion of gifts for children or adults, you can contribute the maximum allowed (double if you contribute jointly with your spouse) without triggering the federal gift tax. If you want to reduce the size of your estate more quickly, the IRS permits you to make five years' worth of gifts in a single year as long as you do not provide additional gifts to the beneficiaries for the remainder of the five-year period. However, you should keep in mind that if you use this strategy, a prorated portion of the contribution may be considered part of your estate if you do not outlive the five-year contribution period. As you consider creating a comprehensive estate plan there are the three elements of insurance - life, disability and long-term care – that should be considered. However, insurance planning is a multi-faceted topic and is discussed in more depth in other parts of this website. 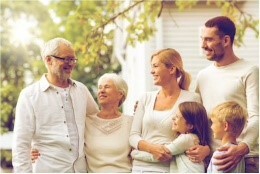 When planning your estate, you should reflect the many aspects of your personal situation and then determine the advantages and disadvantages of a variety of vehicles to help minimize taxes and ensure your estate plans can build a legacy of not only how you will be remembered by your heirs, colleagues, and community, but also by the positive effect your wealth can have on future generations. Contact a financial planner today to begin the process of planning your legacy. Content in this material is for general information only and not intended to provide specific advice or recommendations for any individual. This information is not intended to be a substitute for individualized tax or legal advice. Please consult your tax or legal advisor regarding your specific situation.